Breakfast, Photo Day, Game Day & Bluetopia Movie. What a busy Saturday! 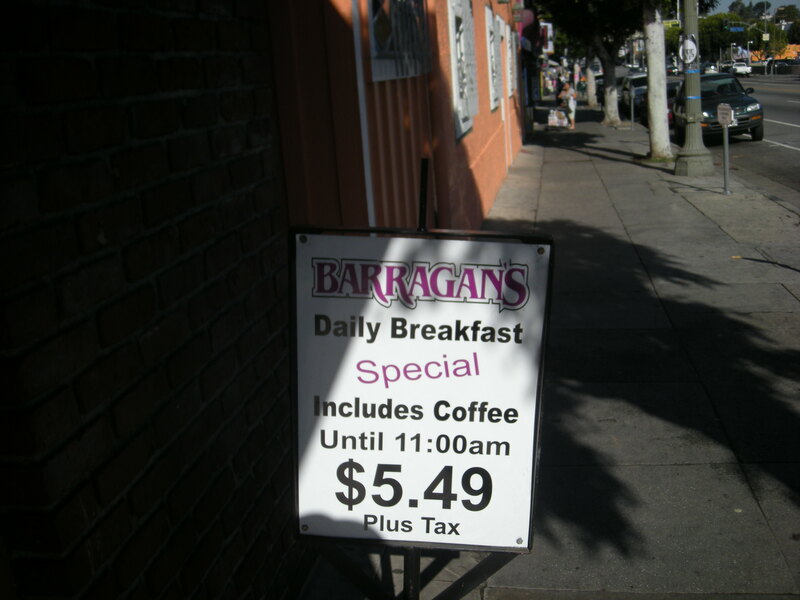 It all started with meeting at 9:am for breakfast at Barragans on Sunset, five minutes away from Dodger Stadium. Here is the restaurant’s breakfast sign outside. 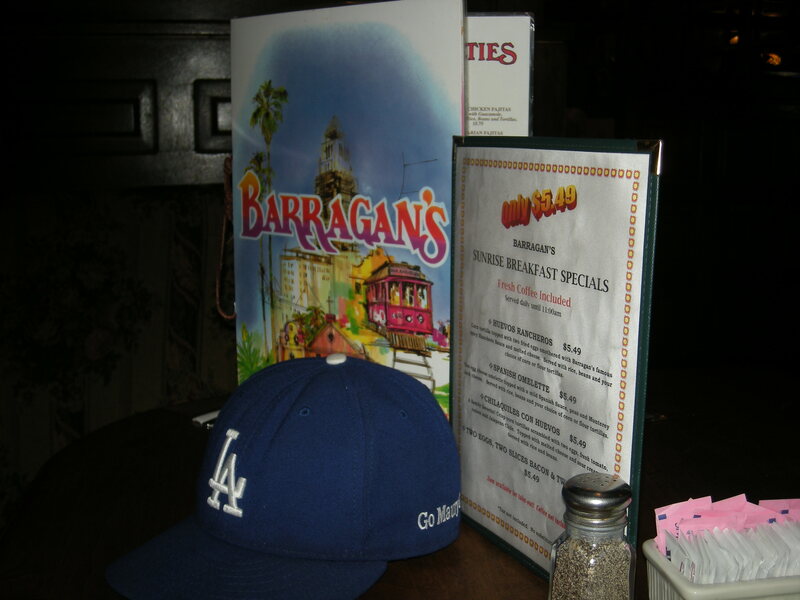 Here is the regular menu and menu special with a Dodger hat we put there. 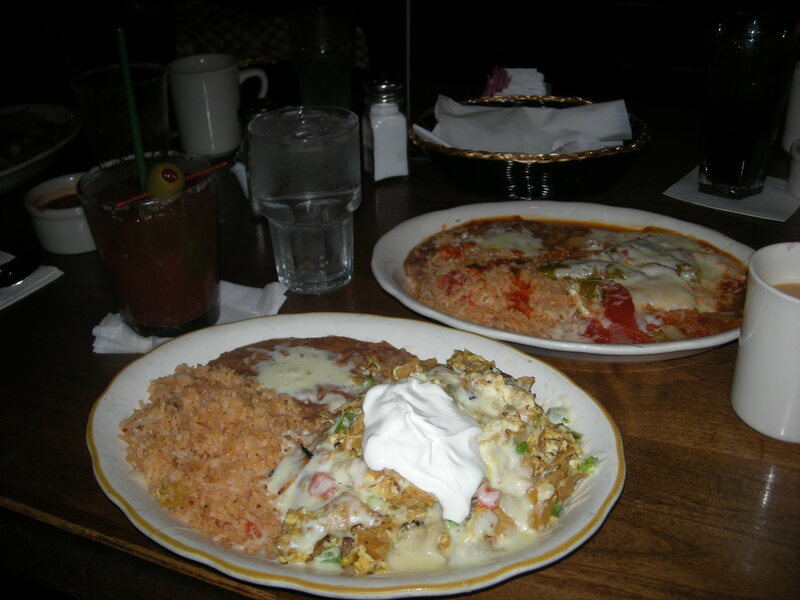 Here are the dishes we were having: Chilaquiles and huevos rancheros. Bloody Marys are $2.50 and they are good so are the dishes. For those that might not know Chilaquiles is a combo of crispy corn tortillas cooked with eggs,chopped tomatoes, onions and jalapenos serve with sour cream, rice and beans. yum. It was good! After a hearty breakast we were ready to head to the stadium for photo day. Here is a picture of my friend Erik & I while we waited for the players. I found I heart Dodgers banner a couple of years back at a local antique. 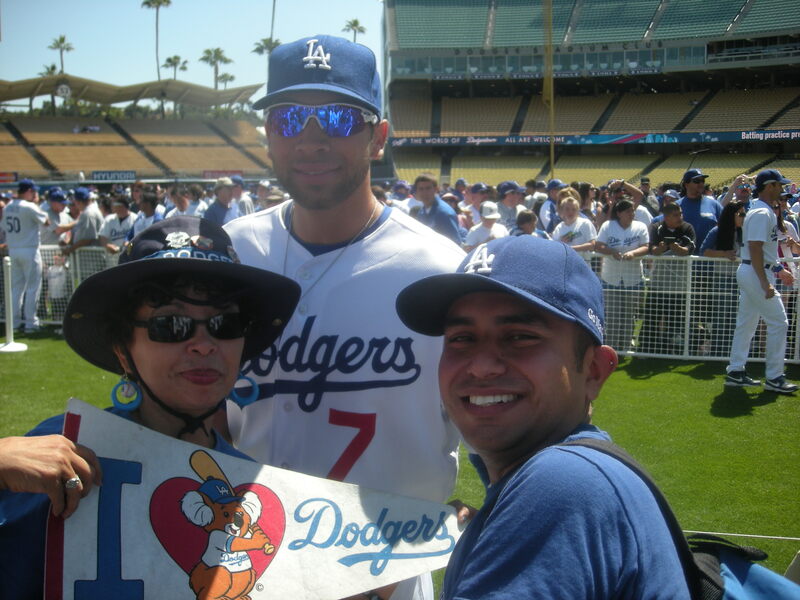 Here is our James Loney! yeah, we sang to him. I love Manny! 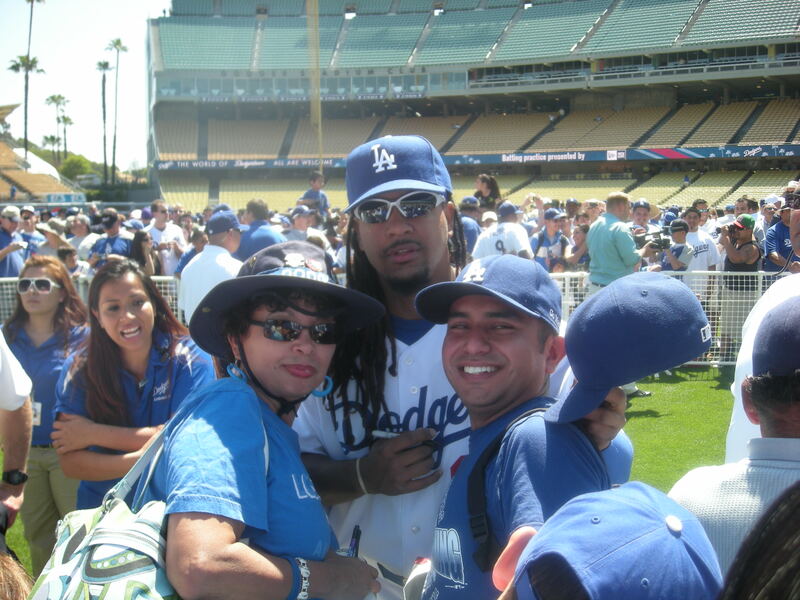 He remembered us from Camelback Ranch! He was very friendly with everyone. 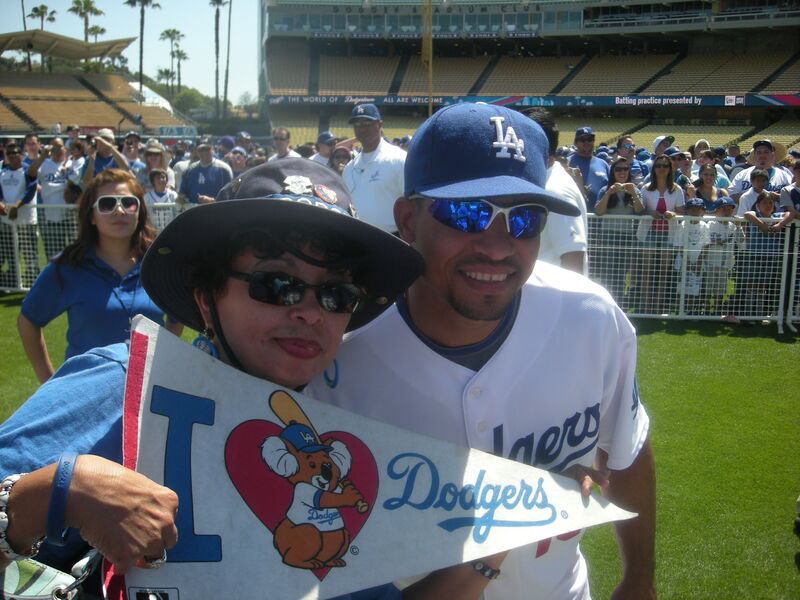 Here is Rafael Furcal posing with me. I love Raffy! 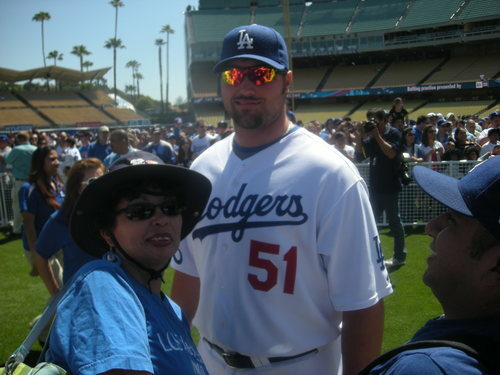 I look short (I am 5:7) next to our closer Jonathan Broxton. Here is Andre! My tilley hat comes out. Billingsley picked up his 3rd win even though the Rockies were getting him into deep counts. 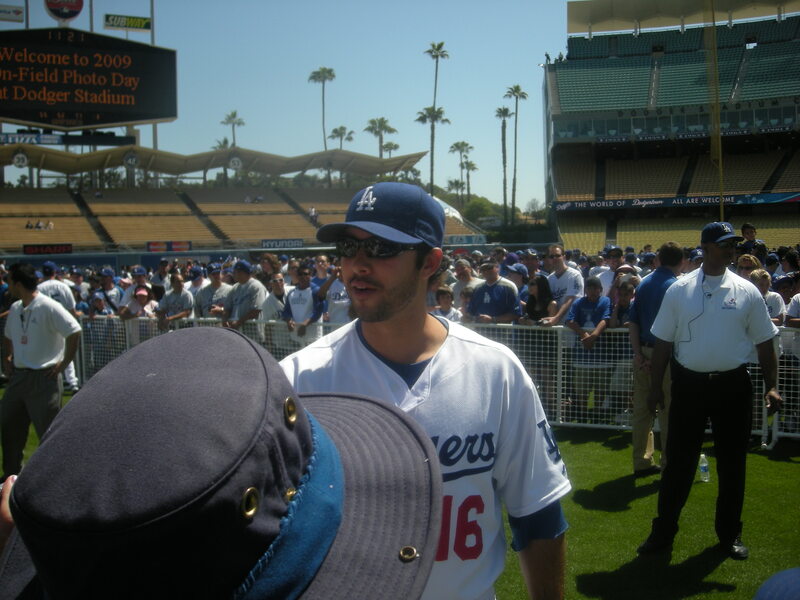 Manny along with Ethier went yard with two homeruns! The day was topped by watching the Dodger premiere movie “Bluetopia”. 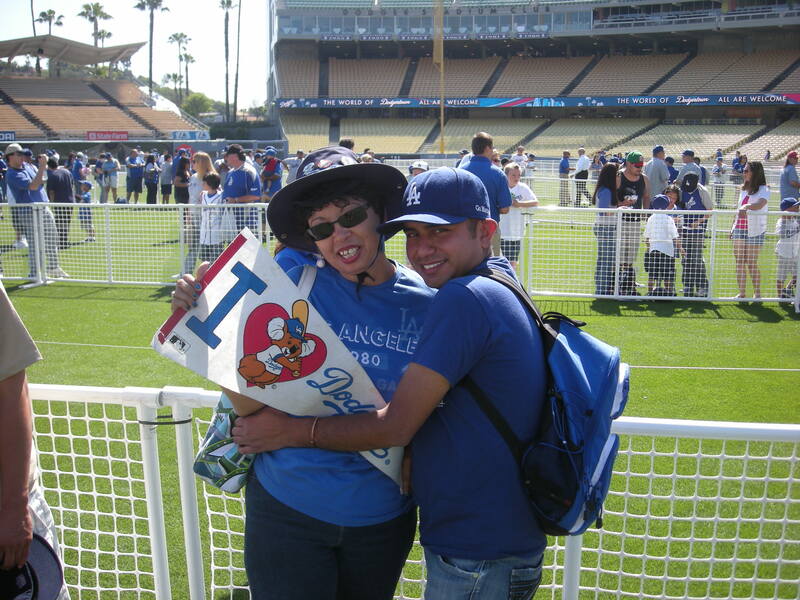 Tim Marx did a wonderful job of capturing the fans love for our beloved Dodgers. I laughed, I cheered and got choked up watching it. James Loney, Billingsley, Matt Kemp, Andre Ethier and Kershaw attended. I’ll say more later about the event. I am glad that I got to go and sit with my friends that I have made because of our love for our Dodgers.